The rolling hills of Surrey are the perfect place to view Vertical Sliding Windows, this popular window style is second to none when it comes to style, class and traditional appearances with ultra-modern features and energy efficiency. 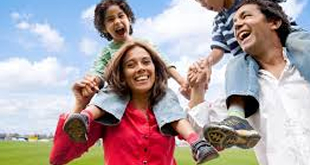 Easy clean tilt function reduces fall risks as you can easily clean them from the inside. Call us today to discuss fitting Vertical Sliders into your home. 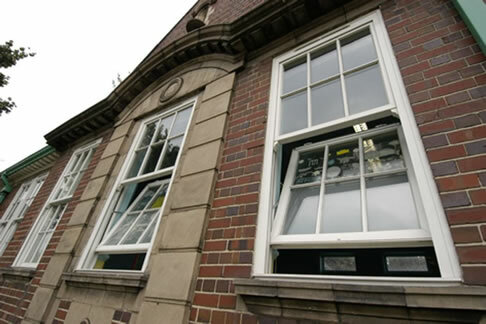 Usually suited to more traditional types of buildings, Vertical Sliding Sash Windows are often being used to compliment more contemporary types of buildings. Mainly because the modern version of this window classic fixes all the flaws from its timber predecessor. 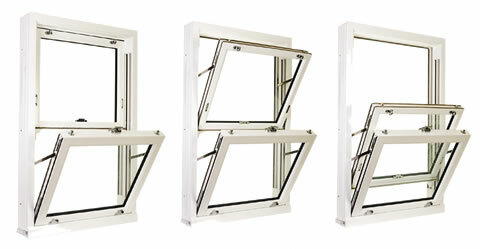 One of the more notable features of this window is the tilt and easy clean function, it not only allows more air to enter your property but also allows the easy cleaning of the outside panes reducing risk of falling where usual windows you must dangerously lean outside to clean. The energy efficiency of this window is second to none as well, with an A rated energy efficiency it is one of the most energy efficient windows on the market. Call our friendly team today if you would like a no hassle measure up and quote, we offer free site visits or you can email your requirements.